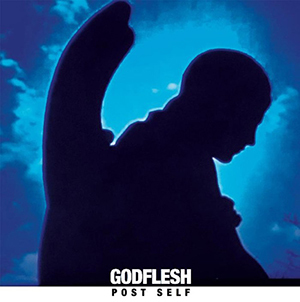 Brainwashed - Godflesh, "Post Self"
The second full length album since Godflesh's 2010 reformation, Post Self seemingly came out of nowhere, with little of the anticipation or hype that surrounded 2014's A World Lit Only By Fire. As someone who follows Justin Broadrick on all forms of social media, I personally only heard of it due to a preorder email from an online store. 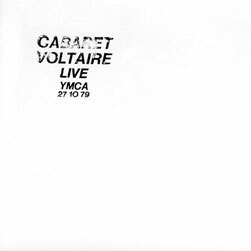 My first listen to it ended up defying the expectations which I had, based on the post-reform work I have heard from the duo. I suppose that that is exactly what a great Godflesh album should do, and Post Self manages to defy very, very well. In my review of A World Lit Only By Fire I stated that it was the first "true" Godflesh record in nearly two decades: no hip-hop flirtations, no electronica, no live drummers (as defined Songs of Love and Hate, Us and Them, and Hymns, respectively). It was just a seething mass of growling vocals, Benny Green’s subterranean bass chug, programmed rhythms, and Broadrick’s trademark barely controlled guitar. Which made sense, given Broadrick had essentially compartmentalized his go-to styles: melodic, pop tendencies were locked into Jesu and electronic experimentation became JK Flesh, leaving Godflesh the outlet for pure industrial-tinged metal. On Post Self though, these demarcations have blurred, and that is a very good thing. It is not obvious from the onset, however. The big riffs of "Post Self" are very much inline with Godflesh sensibilities as of late, though the distorted drums and heavy vocal processing herald what is to come later in the record. The same goes for "Parasite," on which the duo refocuses more on rhythms than riffs with Broadrick's vocals less processed and more purely guttural. By the time "No Body" arrives, the differences from the album’s predecessor become difficult to ignore. The overall structure and rhythms have a more electronic feel to them, while everything else is caked in distortion and processing. Broadrick has always cited Killing Joke and other artists from the post-punk era as major influences on his work, and that feels apparent on "Mirror of Finite Light." The song features much of the same bassy, electronic-heavy rhythms as the remainder of the album, but in a more complex mix and a slower tempo. In this case, the vocals have that flat, disconnected quality that is so familiar from that era, allowed to echo around the mix erratically, coming across almost as a lost Factory band blackened by years of heavy metal. Some of the songs of Post Self stray even farther from what we have come to expect from Godflesh. "The Cyclic End" blends a more expansive, ambient guitar sound with digital beats, crawling along but more of a textural work, and Broadrick breaking out a tiny bit of his inner Robert Fripp. With a lush arrangement and more singing, rather than growled vocals, it is a standout on an already strong album. The duo even break out what sounds like a vocoder for the vocals on the lumbering "Mortality Sorrow," considering how indecipherable much of the vocals are on the album, this is even another step further to inhumanity. Album closer "The Infinite End" is one of the most trademark Godflesh moments to be had, largely for the fact it captures that end-album gloomy, dirgey sound that has been prevalent throughout the band’s nearly three decade discography. The snappy rhythms are offset by the lugubrious tempo, awash in synthesizers with heavy processing to Broadrick"s voice, distorted but not growled. Ending on a depressing note has been a staple for years (e.g. "Don't Bring Me Flowers," "Live to Lose," and "Forgive Our Fathers"), and it remains appropriate here. While it is not hard to see that the noisy electronics of JK Flesh have invaded Post Self, the underlying feel of many of these songs are actually rather catchy and pop-tinged in nature, drawing from what has become the Jesu sound. Superficially that may seem anything but the case, but structurally, these songs are all are far more memorable then metal riff fests or purely noisy electronic outbursts. To be honest, the closest parallel I feel is with 1999’s Us and Them album, one that may not be a favorite among everyone, but I have always felt to be a lost Godflesh classic. Just as Slavestate was such a left turn from Streetcleaner and Us and Them is sandwiched in between the more metallic Songs of Love and Hate and Hymns, Post Self is Broadrick and Green’s statement that even after reforming, predictability is not something that applies to Godflesh, nor will it ever.